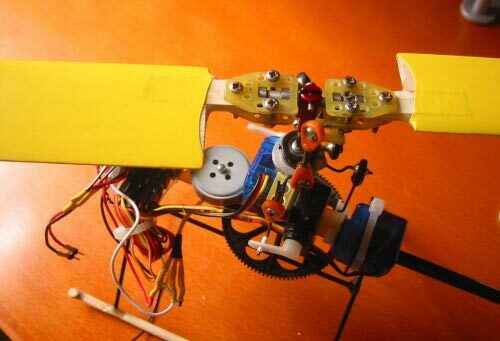 Check out this cool DIY radio controlled helicopter made by Ben Hui, it certainly looks like a complicated project. Flying RC helicopter is really very exhilarating. Their versatility gives a RC pilot a complete access to the three-dimensional space in such a way that no other machines can! I have played RC helicopter for more than one year but still find that I have just learnt a few tricks that it can perform. There are generally two micro-helicopters ( indoor ) in the RC market. I have already planned to buy one of them as they can fly inside the living room and even take off on ours hand. Unlike those operated by gas, these electric helicopters are very clean and give out no terrible noise at all. 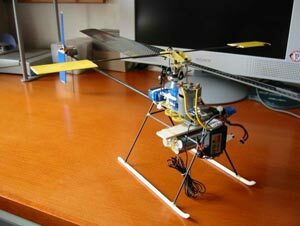 In one nightfall, I visited a web site, which is about how to make a hand made RC helicopter. I was totally impressed and started designing my own helicopter. Ben is in the process of finishing of his DIY radio controlled helicopter, if you are interested in making you own or following his progress head on over to Ben Hui’s website for full details.